[HollywoodInvestigator.com] For a small outfit, Big Biting Pig Productions is remarkably prolific. Like clockwork, they release a new horror feature every year. They're also admirably diverse, tackling many horror subgenres, rather specializing in any one. 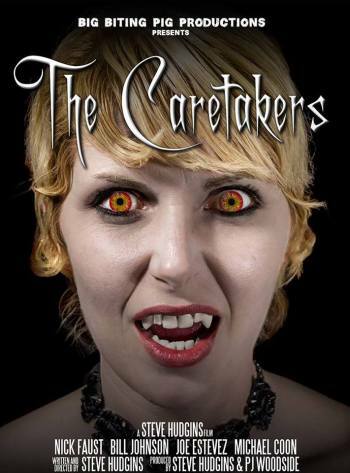 Their recently finished eighth film -- The Caretakers -- is the first one with vampires. Considering the overall popularity of vampires, as well as the recent success of the Twilight saga, one wonders why it took so long for Big Biting Pig to release their version. 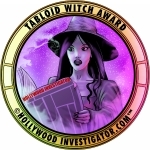 "The success of Twilight, or any other vampire movie, had no bearing on our decision to do The Caretakers," said writer/director Steve Hudgins to the Hollywood Investigator. "It was just something that has been in my mind for awhile now. Other vampire movies have featured caretakers, such as Renfield in Dracula. Both Fright Night movies had vampire caretakers. More recently Let the Right One In had a vampire caretaker in it. But all of those stories are about the vampires. I thought it would be interesting to make a movie that focused on the caretakers and what their lives are about. This movie is about them." Big Biting Pig films' plots have always been multi-layered and literate. The Caretakers offers several sets of characters whose actions interweave unexpectedly, with unanticipated results. A young man protects his vampire girlfriend, helping her find victims. Her father sends a private detective, and his albino sidekick, to find her. A "pure line vampire" sends her caretakers after this woman -- and after other victims. 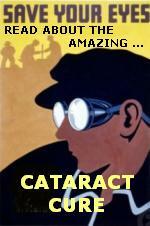 The caretakers fight the detective, train new caretakers, punish inept caretakers, and pursue romance on the side. Hudgins is skilled at plot structure, successfully juggling many story elements, all of it neatly coalescing in the end, without any loose strings. Big Biting Pig's Steve Hudgins and PJ Woodside -- who take turns directing their company's films -- are growing their skills set with each film. Production values keep improving. The Caretakers is nicely lit, occasionally using nondiegetic colored lights (as Dario Argento famously did in Suspiria, and Mario Bava before him in Black Sabbath). Their films are also ever more ambitious, using more locations and larger casts. This suggests that budgets have also expanded. "Our budgets are always extreme micro-budget," says Hudgins. "We did spend a little more on this than on our last movie, Lucid. We had a successful kickstarter for The Caretakers, which was key to bringing both Bill 'Leatherface' Johnson and Joe Estevez in as part of the cast. Our movies are self financed. My creative partner PJ Woodside and myself do the majority of work -- writing, directing, cinematography, editing etc." So why an albino? 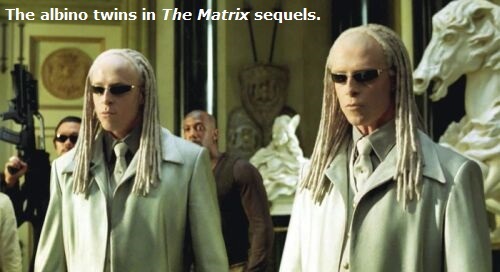 I wondered if maybe it was an homage to the albino twins in the Matrix sequels. "Was there an albino in the Matrix sequels?" asks Hudgins. "I can't even remember. So I guess that answers that question. The albino in The Caretakers is an expert at tracking vampires. I thought with a vampire being a night dwelling creature, it would be interesting to have another character, though not a vampire, that is also adept to night living. An albino seemed fitting for that." Big Biting Pig's home base of Kentucky is not exactly a center of filmmaking, making Hudgins and Woodside something of an anomaly in the area -- and perhaps local celebrities? "We get approached by people interested in being part of our movies all the time!" says Hudgins. "The great thing is, we hold open auditions for a large number of our parts, so everyone does have an opportunity to give it a shot if they're really interested. This is something we've always done and plan on continuing to do. There really is a lot of undiscovered talent out there." The Caretakers was shot on a Panasonic HVX200a "in 720 HD" and edited on Sony Vegas Pro. More details at Big Biting Pig's website.